Make no mistake about it: employment law aims to get employers to hire more ex-offenders. At the Federal level, the Equal Employment Opportunity Commission (EEOC) and the Fair Credit Reporting Act (FCRA) combine for a one-two punch that targets the outcomes of hiring as well as the hiring process itself. In lower level jurisdictions across the nation—state, county, and city—over 100 versions of Ban the Box statutes have been enacted to date, with more on the way. The EEOC has been active over the past few years pursuing disparate impact discrimination lawsuits against companies like BMW, Dollar General, Freeman, and Kaplan for their methods of using criminal background checks. Disparate impact discrimination (where discrimination is a result of a policy that disproportionately excludes members of a protected class, such as by race) is difficult to prove and the commission does not always win these lawsuits. But the effort remains a priority. Similarly, the FCRA provides the grounds for class action lawsuits against employers whose hiring process violates consumer protections, even in very small ways. The Ban the Box laws vary considerably, but many of them include both monetary and non-monetary penalties for employers who exclude ex-offenders without reviewing their other qualifications. Blanket exclusion policies based on using virtually any criminal history as the basis for rejecting an applicant are targets for legal action. Employers should avoid policies like these except where required by law (e.g., where a law enforcement agency is prohibited from hiring a felon). The corollary of avoiding blanket exclusions is to focus on individual qualifications for the job in question. 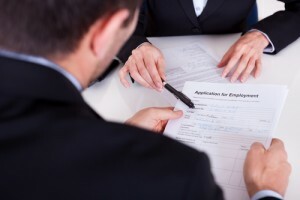 Employment law assumes that a person with a conviction might be qualified for a certain job. The way to find out is to research and review his or her individual characteristics and circumstances. EEOC guidance aims to show employers how to use criminal background check information without discrimination. The basic criteria are that excluding someone should be because the criminal record is job-related and the exclusion is a business necessity. In cases where an applicant may be excluded based on criminal history, EEOC recommends using an “individualized assessment” to make the final determination. If an employer does decide to exclude an ex-offender, it is important to follow the process guidelines in the FCRA for using “consumer reports” (including criminal background checks) to reject an applicant. This process requires certain notifications and an opportunity for the applicant to contest adverse findings. Finally, although the Ban the Box statutes vary, they all include the prohibition of using “check box” questions to exclude applicants due to criminal history (a blanket exclusion policy). This mechanism is simpler than the EEOC guidance in a sense, but it often leads to a similar outcome because it induces the employer to move deeper into the hiring process and consider individual qualifications other than criminal history. Employers are under many contradictory pressures over hiring ex-offenders. The point of employment law is clearly aiming to get more of them hired. 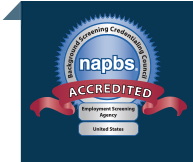 With a well-executed individualized background screening, employers can both comply with the law and find good employees.